Alan Johnson is a native of East Tennessee and grew up in the small town where he now lives. A self-described "child of the 60s," he is a graduate of the University of Tennessee and has been a storyteller since childhood. He has written two previous books, WHEN FOREVER'S OVER and AFTER ALL, about growing up in the '60s. Alan is married to his high school sweetheart and has two sons and two granddaughters. He works as a risk manager and is actively involved in his church and community. 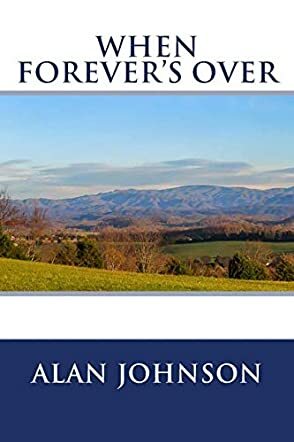 When Forever's Over is a coming of age tale by author J. Alan Johnson. Set during the 1960s in East Tennessee, USA, two mountain town boys make the journey through high school, becoming young men during one of the most turbulent periods of modern American history. Cubby James and Danny MacMahan have enough going on with local dramas in the town of Lincoln and navigating and surviving high school, but the repeated crises of the outside world can’t help but encroach on their lives. The Missile Crisis, JFK and the Vietnam War all play their part during this epic tale of trying to adjust to a world that’s constantly changing, and fearing the life beyond high school in a time when it’s terribly dangerous to be alive. This was an excellent and truly compelling read. Not overdone in length or details, the plot moves at an appropriate pace through the young men’s lives, sometimes focused on the small, trivial moments that build their characters and friendship, and at other times moving off into the larger issues of the USA at that time. I think it also draws smart parallels with the attitudes of today, capturing perfectly a moment when simplistic living started to be overtaken by the wider implications of the modern world. J. Alan Johnson’s dialogue is beautifully authentic and the descriptions of the mountains really bring the surroundings to life as the story unfolds. Overall, I would highly recommend When Forever's Over to fans of literary fiction, history and drama.